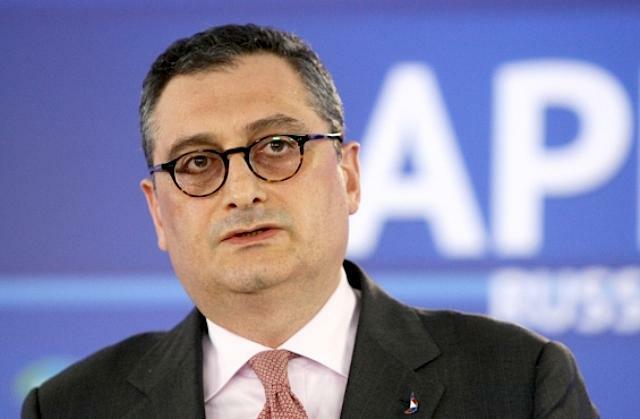 Igor Morgulov, Deputy Minister for the Russian Ministry of Foreign Affairs has said that Russia will not be deporting North Koreans currently in the country, or recognize the U.S unilateral sanctions on North Korea. We will only comply with sanctions passed by the Security Council of the United Nations. We will not recognize unilateral US sanctions, and we do not have any international obligations to comply with them. Last Wednesday, the U.S. drafted new sanctions against North Korea citizens in North Korea, asking that sixteen individuals be removed from the country. 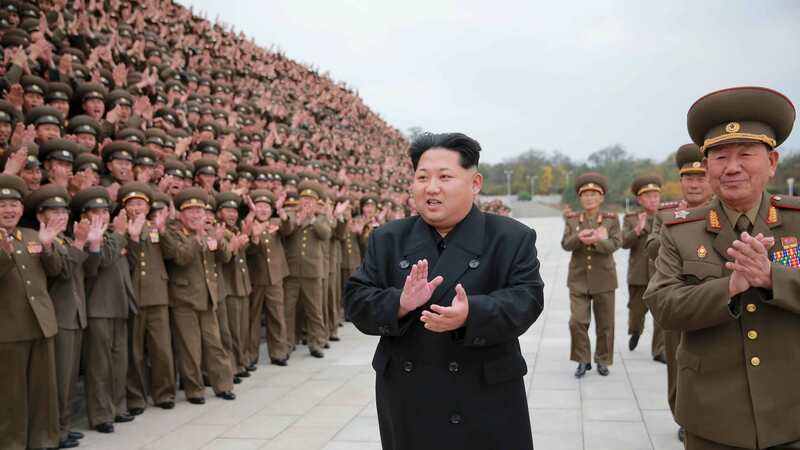 The North Korea leader first land test of missile test seems to have done great harm to his subjects. According to an unnamed US official, the first missile test landed 40 miles north of North Korea's capital city of Pyongyang, in the city of Tokchon, a place with a population of 200,000 people. According to the US official, the projectile had an engine malfunction, and after a minute to the first test flight heads 25 miles northeast before hitting the ground. There is no confirmed report of casualties on the ground after the failed missile launch in Tokchon. North Korea has since launched two other ballistic missiles that would later fly over Japan and landed cleanly in the pacific ocean. Experts predict a premature explosion of North Korea missile will cause serious chaos in the North East region. After 2 years of phone dormancy between the South and North Korea government, the North Korea has finally established a phone conversation that lasted for 20minutes on Wednesday. The talks between both countries could lead to a new diplomatic breakthrough between the two countries. The call was initiated on Wednesday, 3:30 p.m. local to 3:50 p.m. local time (South Korea is half an hour ahead of North Korea) after the North Korea supreme leader ordered the opening at the line at the exact time. 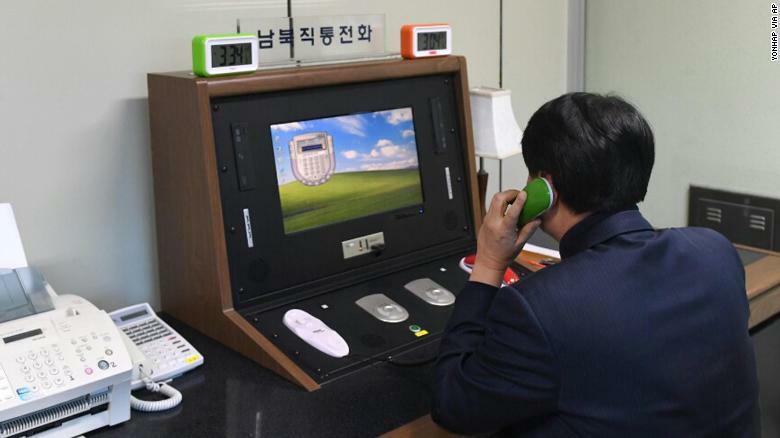 In the 20minute conversation, the two sides check technical issues onthe communication line, and South Korea are awaiting another possible second call at the Panmunjom hotline as it is likely that the North might call again during the week working hours. This is the beginning of seeing through to his words after his New year speech, and expressing hope that the North Koreans would participate in the next month's Winter Olympics, that will be held at the Winter's Olympics. The relationship between the North and South Korea in recent times has been warm, and the South Korean President Moon Jae-In had called for a swift meeting of his cabinets that will allow the North Koreans to participate in the Olympics. The US who in the past has been a mediator between the North and South government don't seem to be working fine at the moment after the current US President Donald Trump keep tweeting provocative tweets to the nuclear country, and don't seem to be working towards peace. In his new year address, the leader of North Korea, Kim Jong-Un had said that he had a nuclear button on his table, and he would use it if the US tries to invade his country. In a response to the North Korea president, President Trump went on Twitter to tell the world that he had a bigger Nuclear Button, and it is bigger than the one in North Korea, and he also said that his own button is bigger than the one in North Korea. One of South Korean President Moon Jae-In during the campaign was to seek a peaceful resolution between the North and South Korean government if elected, and is working towards seeing that happen, even though the US president Trump seems not to be helping issues. North Korea new missile, the HWASONG-15 an intercontinental ballistic missile that is capable of reaching the US. Mainland. The latest missile test ordered by the nation's supreme leader, Kim Jong Un has been tagged successful missile launch by the regime. 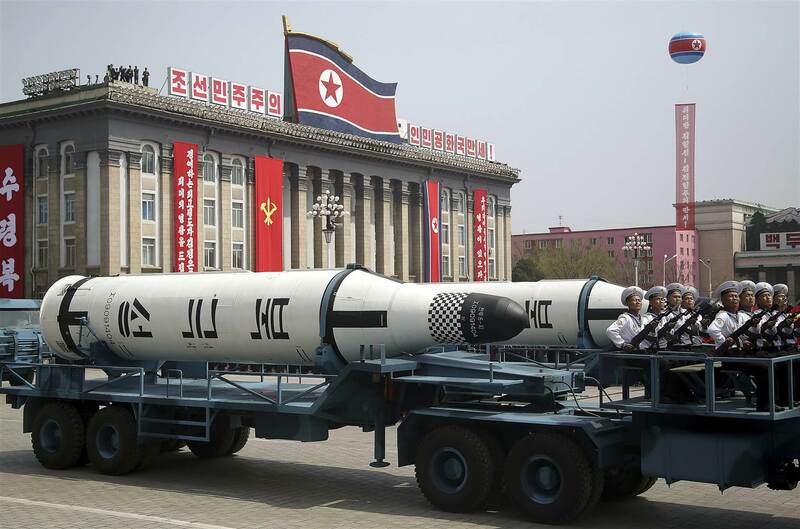 The latest and the most powerful missile test by the isolated nation is said will not be used to threaten or used by North Korea as long as the country is not invaded by intruders, or its sovereignty threatened. The device was fired at a lofted trajectory, and it hit an altitude of 4,475 kilometres and flew 950 km in a 53-minute flight. Experts have said that the missile would be able to hit the US if it has flown on a flatter trajectory. According to David Wright, co-director of the global security program at the Union of Concerned Scientists, a non-profit advocacy group,"We don't know what payload it carries so it's not clear it can carry a nuclear warhead to that range. The real question is: how small North Korea has made a nuclear warhead and whether it can carry a warhead like that on the missiles it makes." 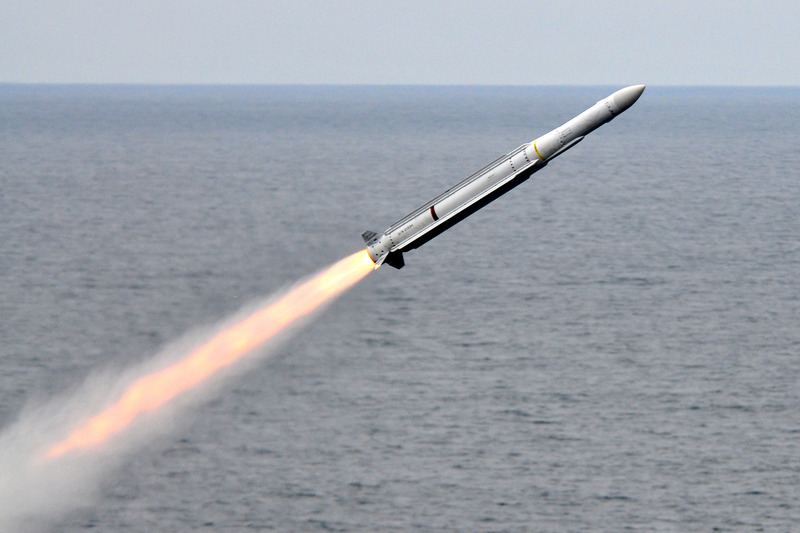 The US president, Donald Trump was briefed on the missile launch while it was in the air, and he responded and vowed"to take care of it"
Trump has mocked the North Korea leader in the past, and had always talked about how he would stop the North Korea leader from getting close to having a nuke, and some people in the US after the latest news of the new HWASONG-15 have started to doubt if Trump can keep them safe or if it is all tweets, no actions. 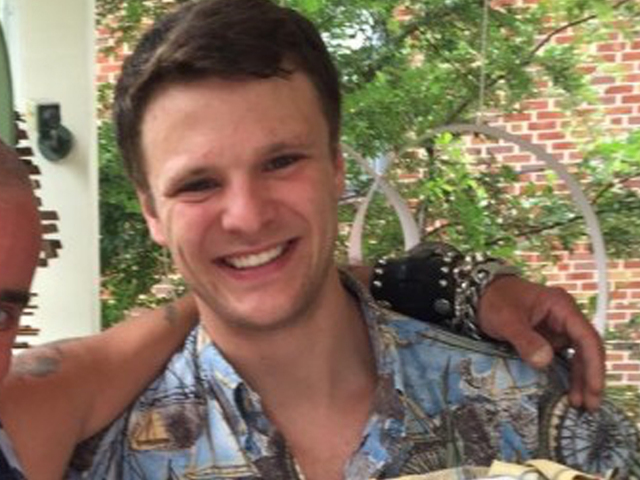 Otto Frederick Warmbier released from North Korea prison is dead. The 22 year old arrived from North Korea in a coma. He was arrested for stealing a propaganda poster from his hotel, and sentenced to 15 years of hard labour in the North Korea prison. The awful torturous mistreatment our son received at the hands of the North Koreans ensured that no other outcome was possible beyond the sad one we experienced today. It would be easy at a moment like this to focus on all that we lost – future time that won’t be spent with a warm, engaging, brilliant young man whose curiosity and enthusiasm for life knew no bounds. But we choose to focus on the time we were given to be with this remarkable person. You can tell from the outpouring of emotion from the communities that he touched – Wyoming, Ohio and the University of Virginia to name just two – that the love for Otto went well beyond his immediate family. North Korea claimed that the American had botulism, and never woke up after taking a sleeping pill, but doctors in Cincinnati claimed that this not true, and Otto has shown no sign of botulism since in arriving in the US, but he had suffered severe neurological injury, and he is in a state of unresponsiveness wakefulness. Otto Wambier arrested in North Korea last year, has now been released from the North Korean prison, and he arrives the United States on Tuesday, but according to the Dr. Daniel Kanter, medical director of the neuroscience intensive care unit at the University of Cincinnati Medical Center where he is getting treatment, Otto is stable " but "shows no sign of understanding language, responding to verbal commands or awareness of his surroundings." Otto has been in a coma since 2016, after he was sentenced to 15 years in NK prison after stealing an item that bears a propaganda slogan. North Korea releasing statements on Otto release says that the country is releasing him "on humanitarian grounds." 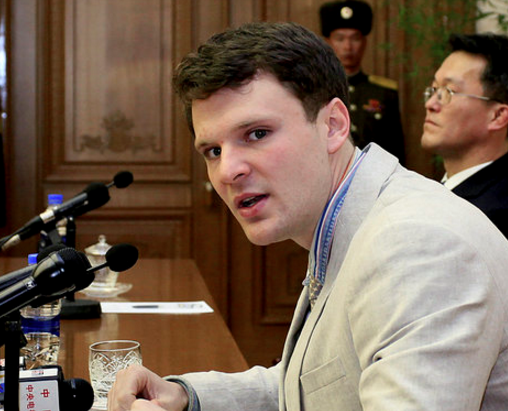 Fred Wambier speaking on his son ill-health said that the North Korea regime has "brutalized and terrorized" his son. He said he does not believe in the North Korea statement that he had fallen into coma after contracting botulism, and was given a sleeping pill. Doctors in the US have confirmed that there is no sign of botulism in Otto's system, but Kanter said that he had suffered "extensive loss of brain tissue in all regions of the brain," but won't give more details of his prognosis on the request of Otto's family. Last month, the US congress introduced a bill that will stop American citizens from traveling to North Korea as tourists, and special visits will require special permission. Around 17 Americans are in jail in the North Korea facility. 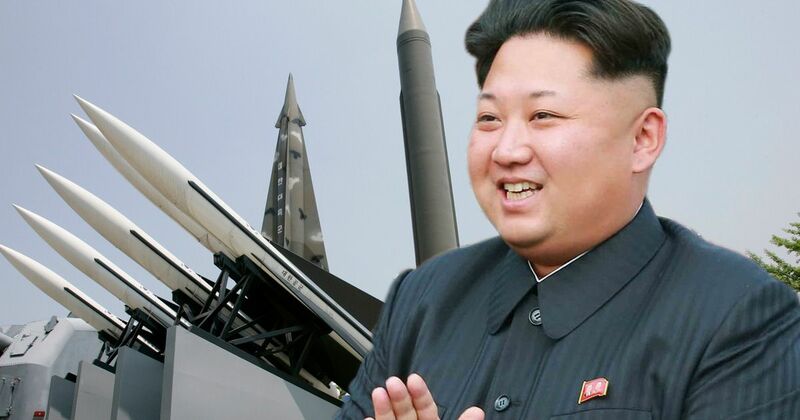 North Korea blew its own missile that is 48 Kilometres away this weekend after it notices that the missile was facing Russia. North Korea abort the missile test as it was heading to a harbour point or a Russian territory,South Korea economy reports. North Korea who in recent times have been in the news for its numerous missile test despite US warning is not backing down, but a missile that gets into Russian territory will complicate an already complicated diplomatic ties between the countries in the region, and increase the tension between the US, Russia, China, North Korea and South Korea. China is also not happy over the recent THAAD missile system that was deployed by the US in South Korea recently. North Korea is not happy with the comment of Israel defense minister, Avigdor Liberman, during his interview with Hebrew news site Walla. Avigdor said in the interview that the leader of North Korea, Kim Jong Un is a madman, and also said this is together with the leaders of Iran and Syria, he labelled them “insane and radical” gang that are trying to destroy the international stability. The reckless remarks of the Israeli defense minister are sordid and wicked behavior and grave challenge to the DPRK [North Korea]. This is the cynical ploy to escape the world denunciation and curse as disturber of peace in the Middle East, occupier of the Arab territories and culprit of crimes against humanity. The statement also defends the country access to Nuclear power saying that the access is "righteous right for self-defense to cope with the US provocative moves for aggression," the statement then went on and threatened Israel or any other country who "dares hurt the dignity of its supreme leadership," with "merciless, thousand-fold punishment." The letter then ended with a warning to Israel to "think twice about the consequences to be entailed by its smear campaign against the DPRK [North Korea] to cover up the crimes of occupying Arab territories and disturbing peace process in the Middle East."